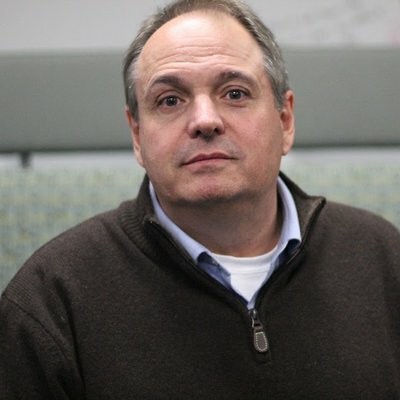 Mark Levine is a social studies teacher at John J. Lukancic Middle School in Romeoville, Illinois. You can follow his latest thinking at Levine Writes. 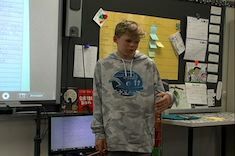 Franki Sibberson initiates student-led minilessons, and finds the process takes her literacy workshops to a new level of independence and energy. 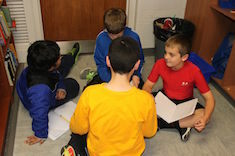 Gigi McAllister tries student-led discussion groups in her fourth-grade classroom, with disastrous results. She regroups the following year with multiple lessons, anchor charts, and preparation to ensure success. 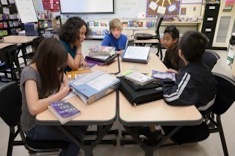 When middle school students have choice and independence in book clubs they lead themselves, how do you assess their learning and thinking? Katie Doherty provides a variety of question prompts she uses with groups to spark reflection on learning. 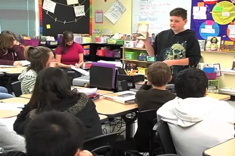 Lucas leads a minilesson in Franki Sibberson’s fifth-grade class on connecting facts from different sources. 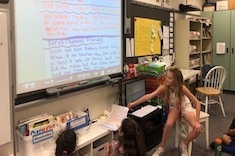 Franki Sibberson helps Lucas plan his minilesson for his fifth-grade classmates on how to connect words and facts from two different sources. 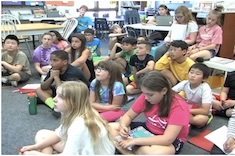 This fifth-grade minilesson from Franki Sibberson is a lovely mix of mentor texts, Franki's own writing, and honesty about the writing process.